This SINGLE LEVEL VIEW HOME is not to be missed! Four bedrooms, an office, and three bathrooms all reside in a beautiful ranch home with panoramic views of the park below, hillsides, mountains, and city lights. At approximately 3500 sq.ft. (buyer to verify), on a 12,000 sq.ft. lot, this home has so much potential your imagination will run wild! The open floor plan and walls of windows are a wonderful change from todays tract homes. A gorgeous floor to ceiling stone, two-sided fireplace divides the living room and the dining room, and there is an additional fireplace in the family room i f you choose to gather there! The spacious kitchen with tons of cabinet space is waiting for you to make it your own. 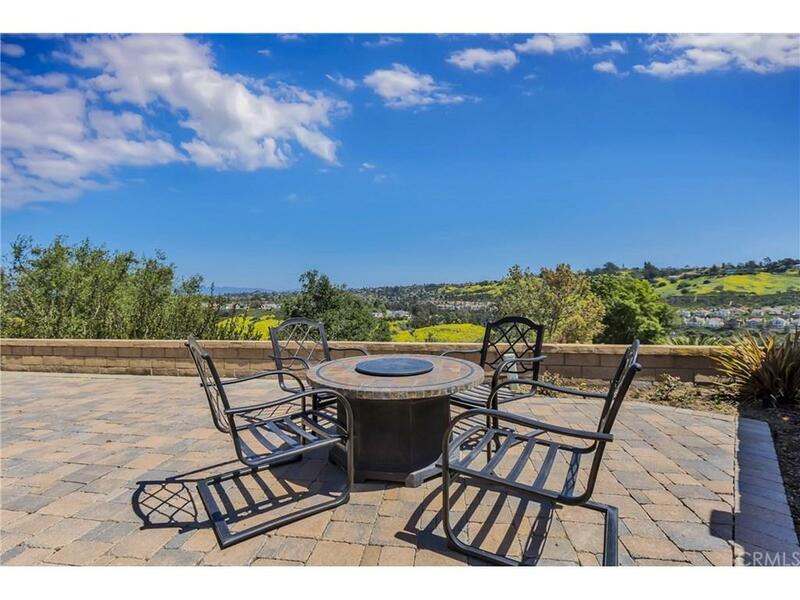 A slider opens onto a cobblestone patio with serene views of the hills and mountains and Fourth of July fireworks! There is also a private patio off the family room, master bedroom, and a huge courtyard in the front of the home. New neutral paint throughout, new wood laminate flooring in the kitchen, new vinyl in the laundry room and storage closet, and new neutral carpet throughout the rest of home makes this home move in ready with all of your ideas for updating to your wants. 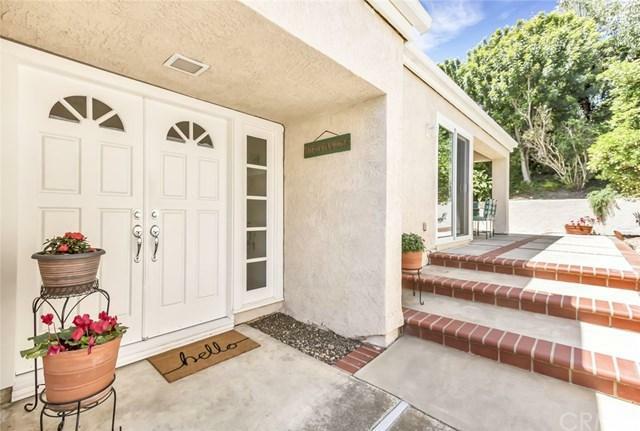 In the award winning Capistrano Unified School District, this home is ideally situated at the end of the cul-du-sac above Crown Valley Community Park.